Apple Cider Doughnut Cake ~ an easy cinnamon apple bundt cake that tastes just like Fall's iconic apple cider doughnuts ~ yum! 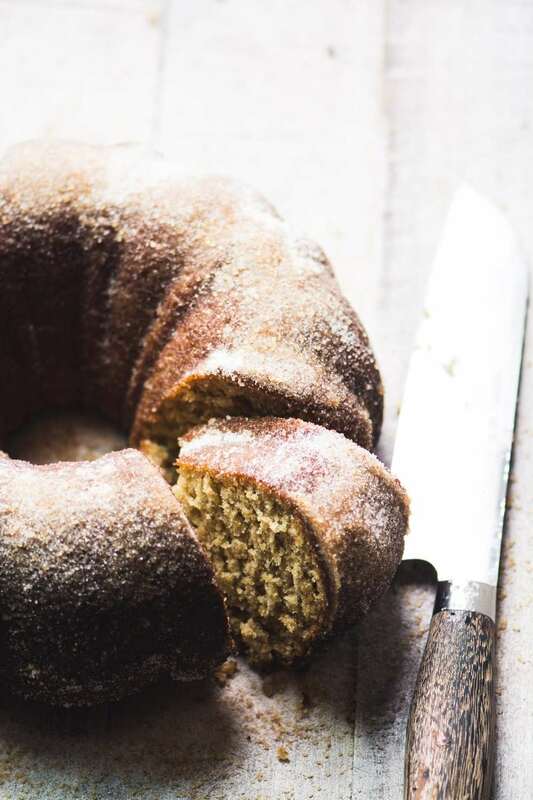 Generously butter and flour your bundt pan, making sure to get into all the nooks and crannies. Don't skip this step! Invert the cake onto a plate. Brush with the melted butter, and sprinkle generously all over with the sugar.